The Future of Fly Casting Tuition! 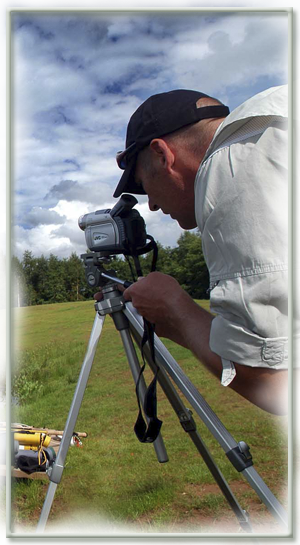 Have your casting technique assessed using DVA, not only will this concept speed up your learning curve, it will also lay the foundation of your transformation into a competent fly caster, and enable you to see yourself cast. What are the advantages of DVA? Every Instructor has a different method of teaching; some explain things better than others. DVA means no more longwinded explanations, just plain and simple language. Everyone is more visibly receptive; our eyes will make sense of what our ears sometimes cannot. DVA will speed up the learning process. Slow Motion – This will show the importance of body, arm and hand movement during any cast. Frame by Frame – will pick out the smallest of details. Instantaneous playback at the waterside will enable you to learn while it’s fresh in your mind. Digital Video clips can be saved to disk, this means you can take your lesson home for future reference and refer back to it at a later stage. If you want to progress further with your casting, bring the disk back on your next lesson. This will not only enable you to see how far you have progressed, but also how quickly by using DVA. Troubleshooting with DVA, if there are any problems with your casting after the lesson, you can email me the information on your disk and with a phone call the problem can easily be rectified. Use the Contact Gary page on this site to arrange tuition using DVA and see how fast your casting improves. For details on the cost of tuition using DVA please check the Fly Casting Tuition page on this site. Copyright © Gary Bell . All rights reserved. No parts of this website may be used for any purpose without prior consent.